In the book “The One Thing”, Gary W. Keller and Jay Papasan emphasised the importance of focusing on the one thing. The most valuable lesson I have learnt from this book is how to manage your energy, willpower and time in the most efficient way by finding your purpose and focusing on the one thing. They have used the analogy of the domino effect: a single domino can knock down the next domino which is 50 percent larger. 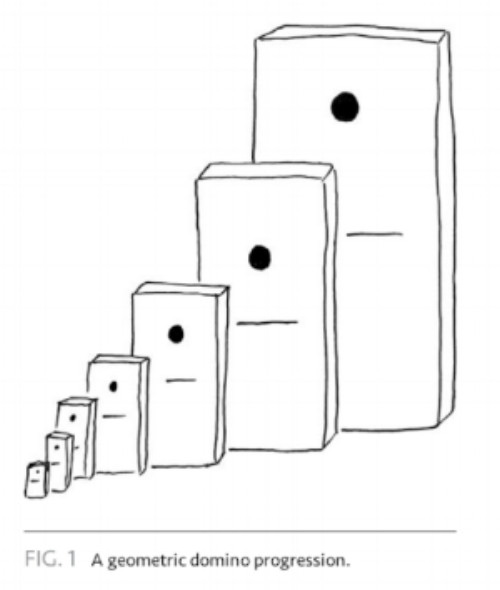 If the dominos are lined up in a linear progression, the first domino, two-inches tall, can knock over the 31st domino as high as Mount Everest. So, it is apparent that getting things done in a right order is far more important than getting a lot done. However, our calendars are often occupied with many tasks, and are not automatically lined up in order of importance. As such, we have to find the lead domino by ourselves, and be aware that not everything matters equally. We only have so much time and energy – the more things we try to accomplish, the thinner we spread ourselves out, and harder to be great in one field. Willpower is like a renewable battery. Every morning, we wake up with a full tank of willpower, and as the day goes, the willpower is consumed. That’s why we tend to make irrational decisions later at night (e.g. craving for food) when our willpower is almost used up. Steve Jobs and Mark Zuckerberg, both wear the same clothes every day in public. For them, wearing the same clothes every day saves them willpower in the morning from choosing the outfit. I am not suggesting everyone wear the same clothes, but taking an example how these two successful people sticking to their priorities. So before it is not too late, ask yourself what is the purpose of your life and focus on the most important thing. Figure 1 & 2. Keller, G., & Papason, W. (2013). 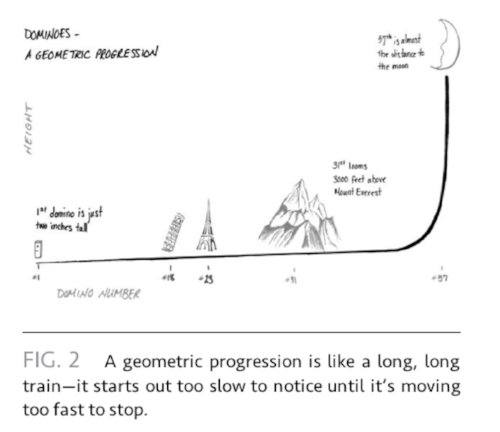 The One Thing: The surprisingly simple truth behind extraordinary results (pp. 112). London: Hodder & Stoughton Ltd.